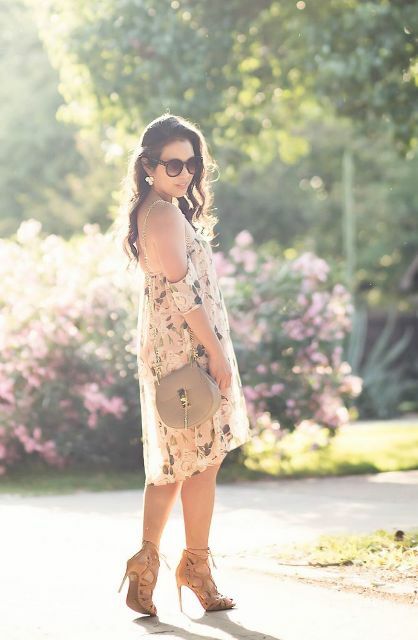 You don’t need too many accessories or other decor elements to look perfect wearing a floral dress. This printed item is always eye-catching and feminine at the same time, so you can add just neutral colored shoes and a bag, and voila — your new outfit for any occasions is ready! 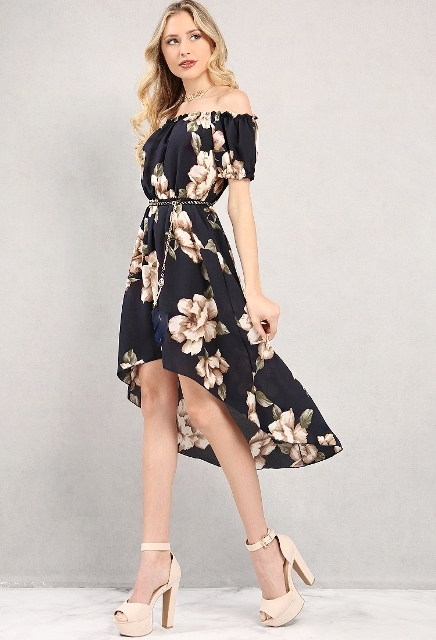 We have already shared with you floral dress ideas, but today let’s consider outfits with floral off the shoulder ones. And as always there are a lot of awesome cute dresses, so I offer you to get at least two or three ones to create various styled outfits. Wanna make a cocktail party look? Then choose a pastel colored airy dress and combine it with high heels or trendy bright colored mules. Or maybe you want to create a casual outfit? Then pay your attention to loose mini dresses and add lace up flats or sneakers to them. Below you can find more ideas. Wanna something comfy and unique at the same time? 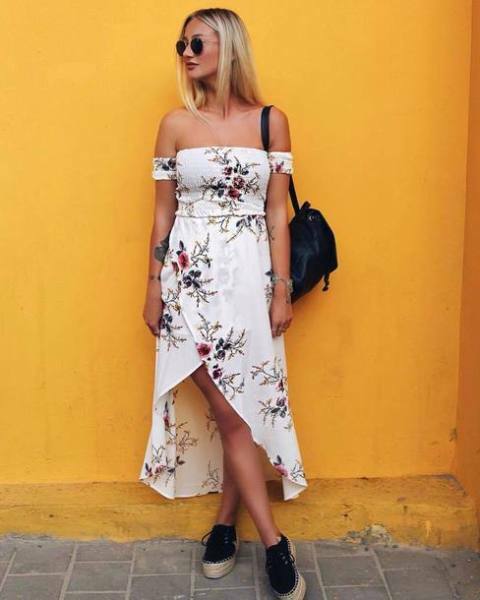 Then find a floral off the shoulder asymmetrical dress and combine it with a black backpack, rounded sunglasses and platform espadrilles. 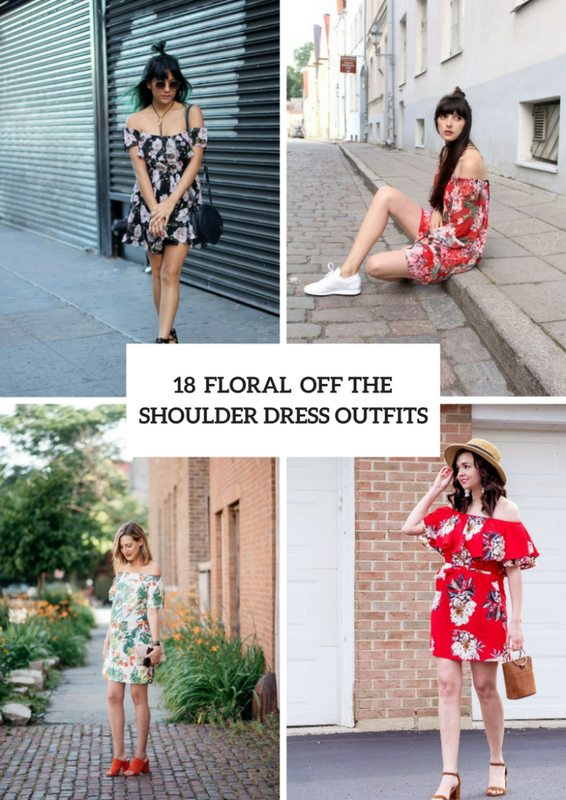 If you are looking ideas for a vacation, then try to repeat a combination with a off the shoulder dress with colorful daisies, sunglasses, a straw wide brim hat, a black leather bag and navy blue and light blue flat sandals. Don’t be afraid to make eye-catching accents creating your casual outfit. For example, you can take a green, white and red floral off the shoulder straight mini dress and combine it with orange mules and a beige clutch. For a beach look you can choose a maxi dress with a slit, sunglasses, black ankle strap heeled sandals and a black choker necklace.